Mariah Carey is one of the nominees for the 2018 Songwriters Hall of Fame. 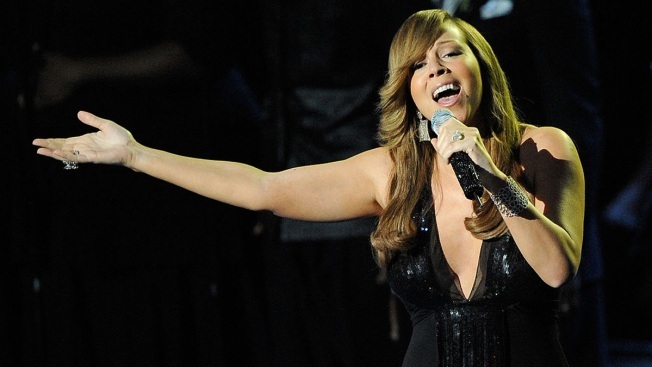 Mariah Carey, the artist with the most No. 1 hits on the Billboard Hot 100 chart, is one of the nominees for the 2018 Songwriters Hall of Fame. Carey, who co-wrote 17 of her 18 No. 1s, earns her first nomination for the prestigious prize. The Songwriters Hall gave The Associated Press the list of nominees Monday, a day ahead of its official announcement. Pioneering rap group N.W.A. also earned its first nomination for the Songwriters Hall, months after Jay-Z became the first rapper inducted into the organization as part of its 2017 class. Other performing nominees for the 2018 class include John Mellencamp, Tracy Chapman, Alice Cooper, Jimmy Cliff, the Isley Brothers, Chrissie Hynde, Alan Jackson, Kool & the Gang, Tom Waits and Tom T. Hall. Non-performing nominees are William "Mickey" Stevenson, Bill Anderson, Maurice Starr, Allee Willis, Steve Dorff, Mike Chapman, Randy Goodrum, Tony Macaulay, and Jermaine Dupri, who co-wrote some of Carey's hits. Nominated songwriting duos include Kye Fleming and Dennis Morgan, Denny Randell and Sandy Linzer, and L. Russell Brown and Irwin Levine, who died in 1997. Five songwriters, or songwriting groups, will be officially inducted at a gala in New York on June 14. Eligible members can vote for three non-performing songwriters and two performing songwriters until Dec. 17. Songwriters are eligible for induction after writing hit songs for at least 20 years. Carey, whose hits include "We Belong Together" and "Hero," released her self-titled debut album in 1990. N.W.A., including Dr. Dre, Ice Cube, Eazy-E, MC Ren and DJ Yella, had massive success with the 2015 biopic "Straight Outta Compton." Their debut album of the same name was released in 1988.